On Site Gas does more than just produce affordable nitrogen for your wave solder machine, selective solder machine and component bagging needs. Murray Percival Co are proud to represent a company that plays a role in saving our US soldiers! Read the On Site Blog below to learn more. On a lighter side, the next time you open a bag of potato chips or bottle of wine, On Site may be responsible for producing the nitrogen in the package that keeps the product fresh and tasty. The men and women of the military risk their lives every day, and it’s important to have the medical supplies on-hand to save them. Unfortunately, many of the locations where emergency medical treatment is required are in a brutal environment far away from a hospital. That’s why it is crucial to have portable oxygen generator systems wherever military personnel are located. First responders can use a portable oxygen generator system to fill cylinders up to 2200 PSIG. It can be used around the clock to keep the cylinders full, ensuring everyone has the oxygen they need to survive. The medical-grade air produced by our portable oxygen generator systems can also be directly connected to a patient in a field hospital. 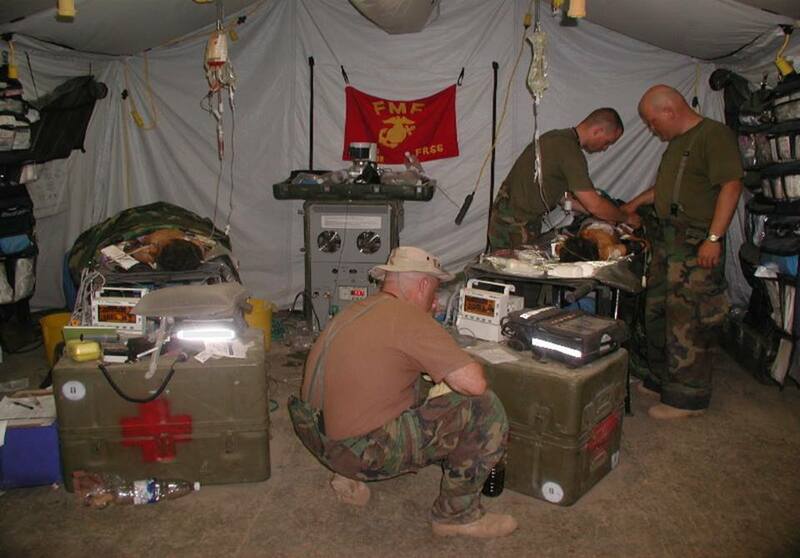 With our POGS 33 oxygen generator, military field hospitals can generate medical-grade oxygen and medical-grade air to run anesthesia units and ventilators. Reliable. This is crucial. The military needs to know they will have oxygen when it is required, and since our portable oxygen generator systems allow them to produce their own, they never have to worry. And with the built-in backup system, a power outage won’t even stand in the way of saving lives. Transportable. As mentioned, in many instances, our portable oxygen generator systems are required in situations that are not easy to get to, so when we say portable, we mean it. Only four people are required to carry the portable oxygen generator system to its destination, and once it is setup, no additional heavy or oversized equipment is needed. Safe. Our portable oxygen generator systems are an FDA-approved Class II medical device, so they will always deliver the quality of oxygen that is required in lifesaving situations. On Site Gas Systems is known for its reliable, innovative equipment, and our portable oxygen generator systems are no exception. The military can depend on them to save lives even under the most extreme circumstances.